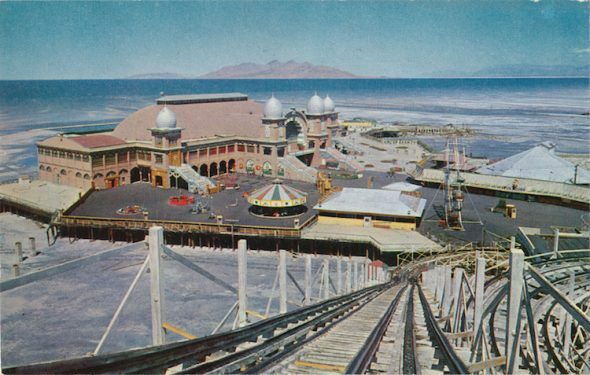 Careening along the winding sun-scorched highway in the backcountry of Tooele County, the ghostly silhouette of the Saltair pavilion begins to crest the horizon. It’s skeletal foundation, now bathed in moonlight, is all that remains following a checkered history of arson, drought, and desertion. The structure’s mystifying aura contrasts against the receding shoreline of the glistening Great Salt Lake. 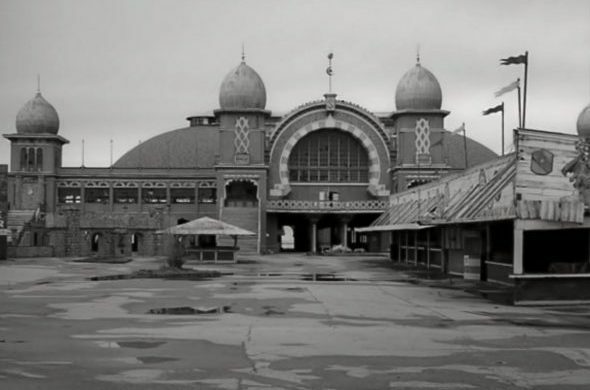 The long-abandoned amusement park, that once aspired to be the Coney Island of the West, has since been left to decay along the swampy beach that was formerly enjoyed by thousands from across the country. This otherworldly sight, witnessed by Herk Harvey during a road trip across the western United States, would soon become the primary inspiration for one of the most groundbreaking horror films of its time, Carnival of Souls. In the early 1960’s the horror film genre was thought to have reached its zenith. Spanning from the classic Universal Monsters of the 1950’s to the genre-defining masterwork, Psycho by Alfred Hitchcock, there was no shortage of chills and thrills at the theater. However, even with the influx of content, audiences were still left wanting more. Aside from the major studio tentpoles of its time, low budget B-Movies were surging the market and playing at midnight screenings nationwide. 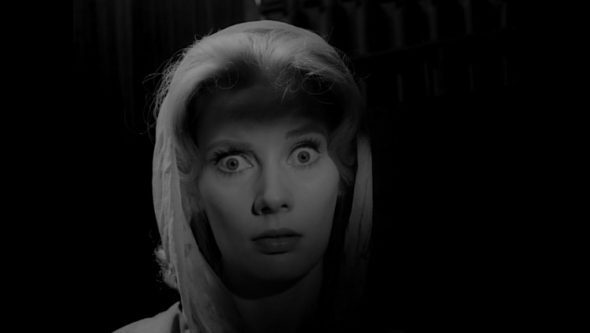 The likes of Ed Wood and the early works of Roger Corman would prove to be pivotal in setting the stage for the ultimate low budget horror feature. The creation of Carnival of Souls started not in Utah, but rather in rural Kansas. 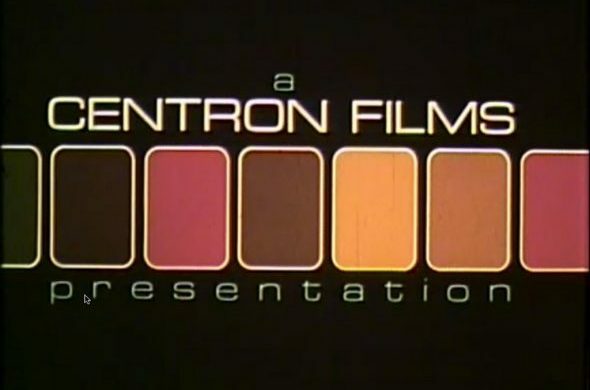 Centron Films, founded by boyhood friends Arthur Wolf and Russell Mosser, was not originally intended to make narrative features – far from it. 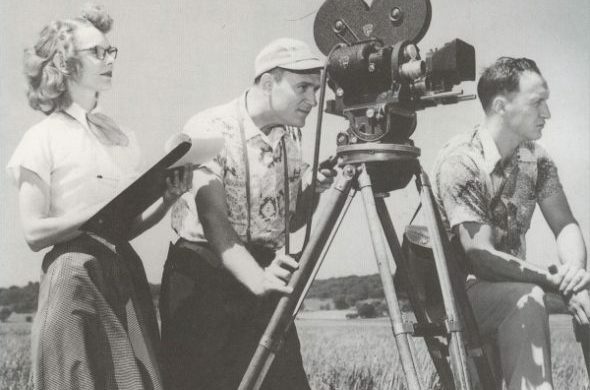 Centron cornered the industrial film market by creating training videos used throughout the 50’s and 60’s. Their earlier bodies of work included titles such as The Bully, Airplanes: How They Fly, and Halloween Safety… All of these are a far leap to what would ultimately become their defining piece of work. 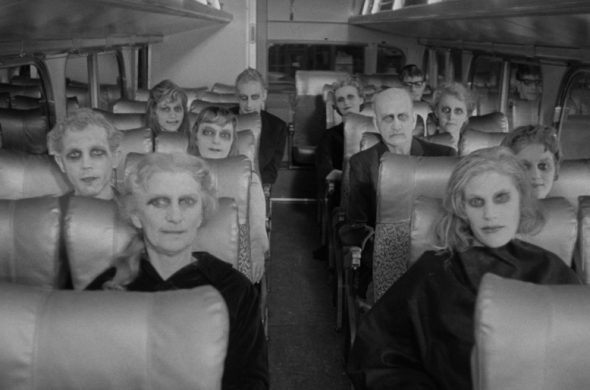 Tired by the lack of creativity and driven to create something truly original, the newly hired Herk Harvey set out to make Carnival of Souls for as long as his shoestring budget would allow, that being a short span of two weeks. Retrospectively, the narrative is simple, although at it’s time it was something that would come to inspire countless filmmakers and go on to receive long-term acclaim. First-time actress Candace Hilligoss would star as Mary Henry, the sole survivor of a drag race gone wrong, who subsequently flees the Midwest in hopes to start up a new life in Salt Lake City. Her ill-fated journey would be plagued by visitations from the undead and the callous presence of those around her. The power of the film stems directly from its lead performances by Hilligoss, Sidney Berger (who plays an unrelenting love interest), and Herk Harvey himself who dawns a face of white makeup to play the primary apparition known only as The Man. 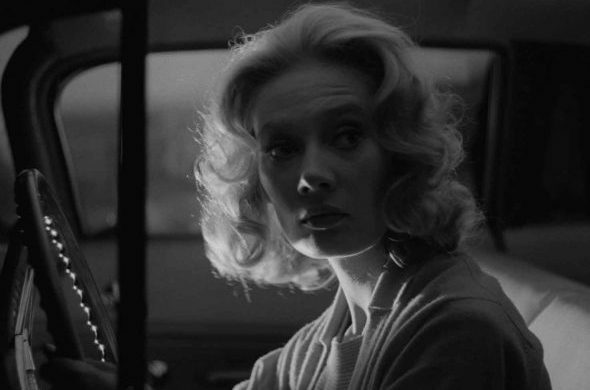 Shot in sultry black and white with distorted camera angles, high contrast lighting, and wide angled close-ups, Carnival of Souls bolstered its performances with a truly unique aesthetic. Trading studio sets for practical locations, Harvey took advantage of Utah’s expansive desert landscapes and distinct architecture to create an authentically chilling world in which the dead intertwine with the living. 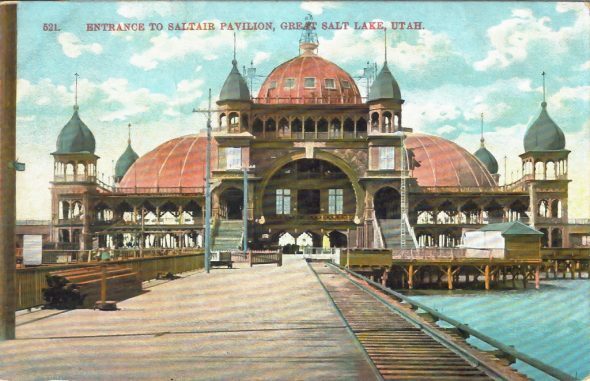 Locations such as Washington Square Park, the Union Pacific Depot, Temple Square, and the old ZCMI on Salt Lake City’s main street make appearances throughout the film – however, the primary set piece would become the moorish turrets of the Great Saltair which was rented for a measly fifty dollars for the span of a week. Constrained to a budget of just over thirty thousand dollars, Harvey was forced to use guerilla tactics throughout production. According to Hilligoss, he would frequently bribe store clerks and customers with twenty-five dollars a piece in order to use the property and people within as extras. Harvey went so far as to pay a working bus driver to lightly hit Hilligoss as she ran down an alleyway during the climax of the film (which was unfortunately cut before reaching final release). 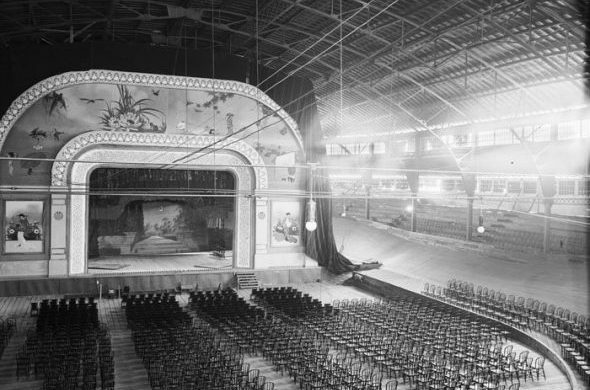 Carnival of Souls had its premiere at the Main Street Theatre in Lawrence, Kansas and did not immediately receive worldwide distribution. Because of the shoestring budget, Harvey had failed to purchase the necessary copyrights for the film and under US law, it immediately fell into public domain. Consequently, Harvey never made any profits from the production or received any royalties. On top of that, independent releases of the film would pop up periodically around the world, adding to Harvey’s frustration. However, that same unruly distribution would become the film’s greatest asset. Late night television screened the movie regularly, introducing a whole new audience to its horrifying world. 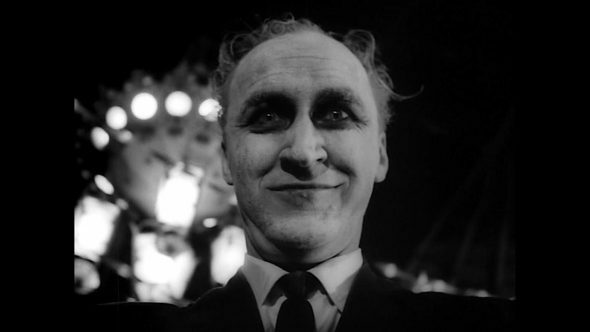 In the years to come, Carnival of Souls would prove to be highly influential among filmmakers within the horror genre. George Romero and David Lynch would site the film for being a primary inspiration in their work. In 1989, Herk Harvey’s crowning achievement would be re-released in arthouse theaters around the country, where its importance would fully be realized. Harvey and the stars of the film would never go on to make another picture. Instead, Carnival of Souls has been loosely remade twice by the likes of Wes Craven (A Nightmare on Elm Street, Scream) who served as producer, and Christian Petzold (Pheonix 2014) under the title, Yella. Carnival of Souls is available to stream on Filmstruck, Amazon Prime, and Google Play. A wonderful restoration is also available for purchase on the Criterion Collection website.